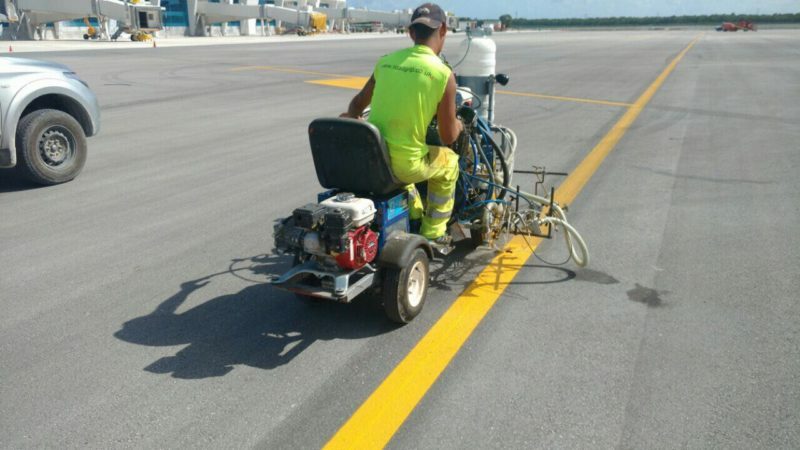 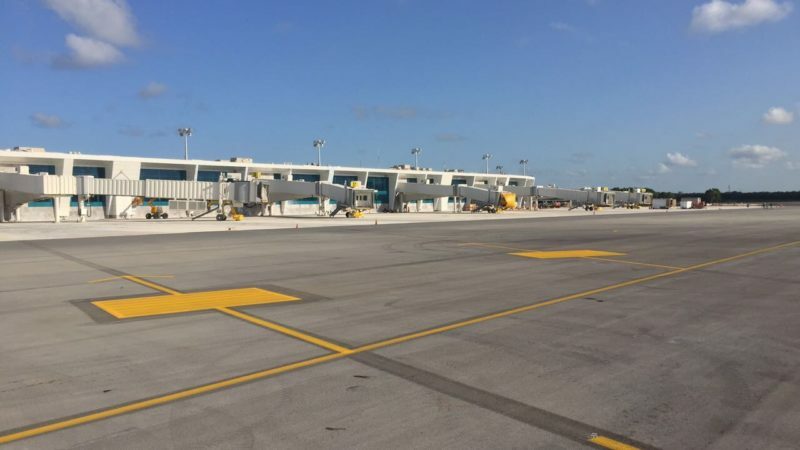 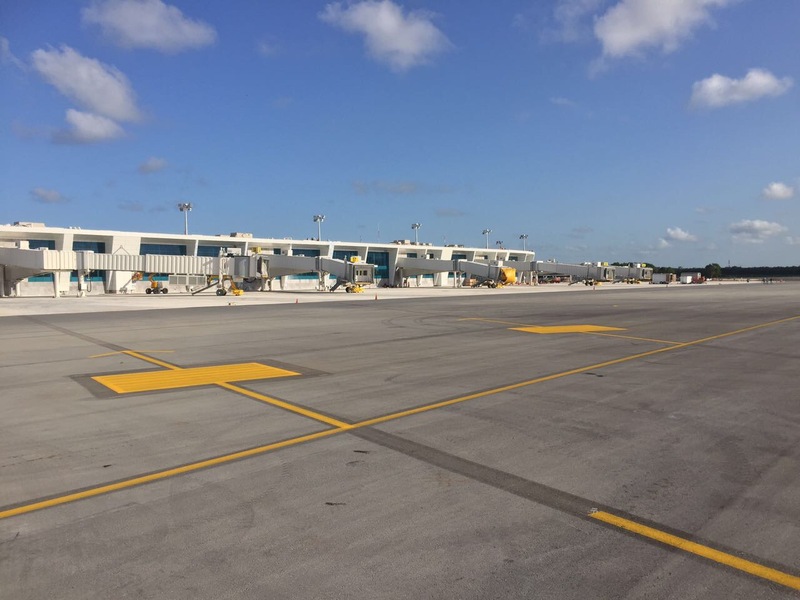 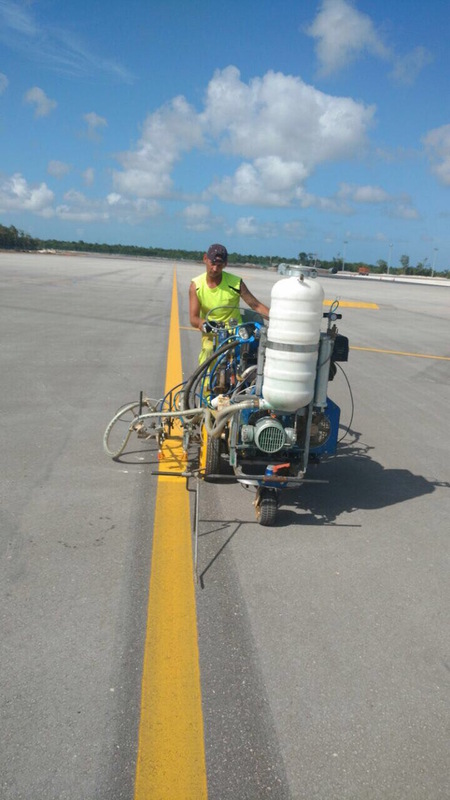 Roadgrip Airports were contracted to undertake all ultra-high pressure water blasting preparation and subsequent ttp1952 paint markings to the apron at the new Terminal 4 of Cancun International airport in Mexico. 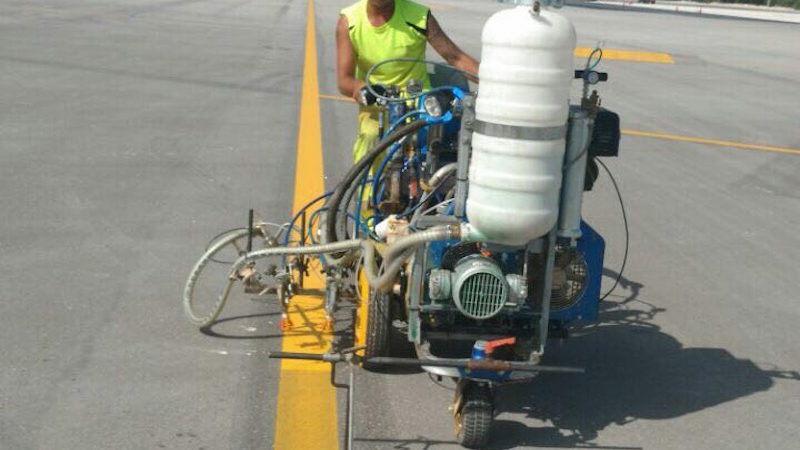 Our hydroblast fleet used machines at 40,000 psi to remove line markings and rubber from the runway before applying new line painting to the airfield. 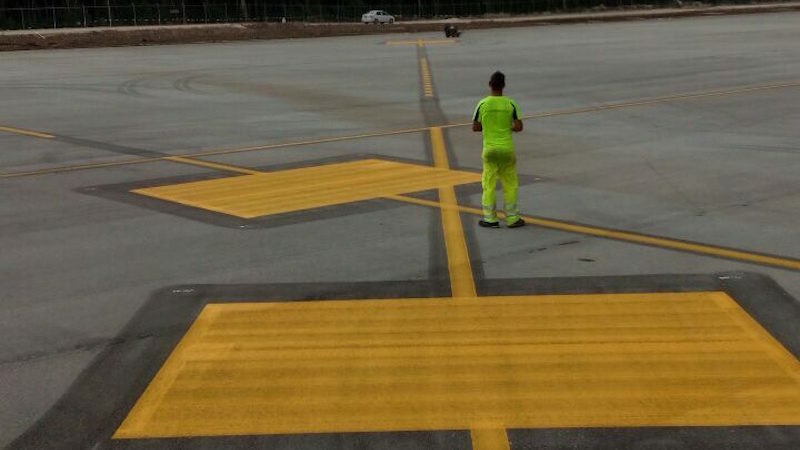 Using water-based paint, we ensured that all new markings adhered to FAA and ICAO standards. 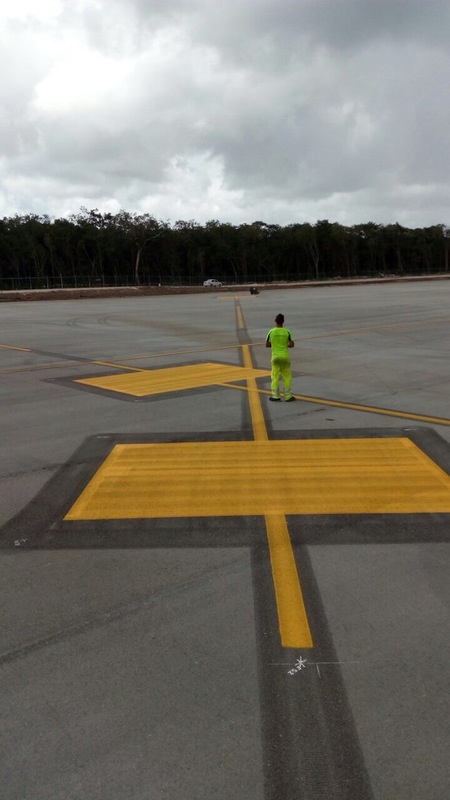 Read more about our runway painting, airfield lining, grooving and rubber removal at Roadgrip Airports or contact us below for a quick quote.